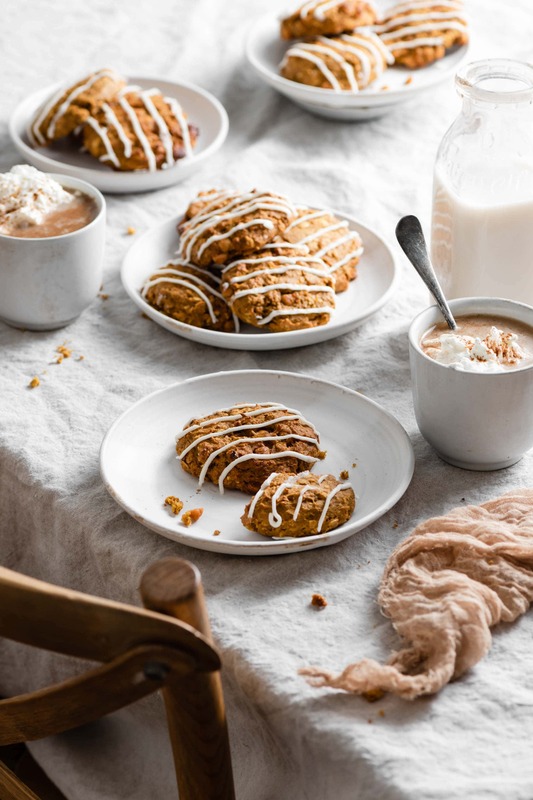 Oh yes, Butterscotch Pumpkin Cookies are definitely a thing! Every year around the end of September I begin stocking up on Pumpkin puree. 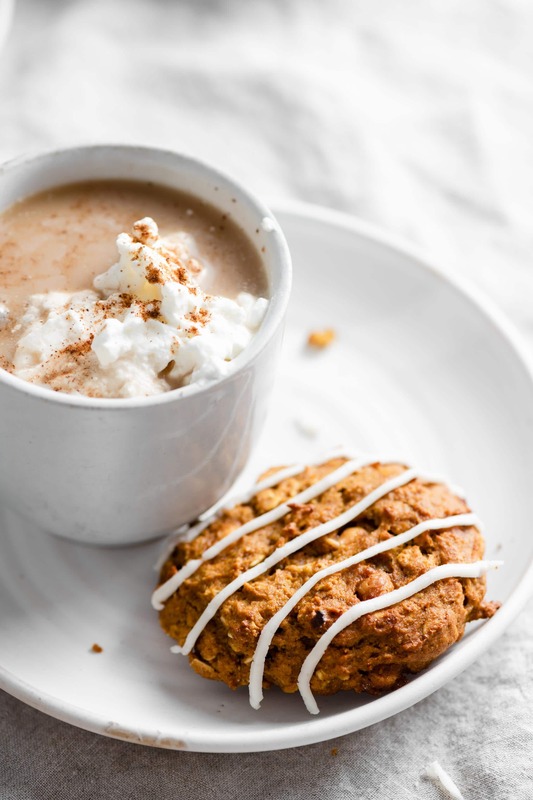 I don’t know if its the change in the weather or all the advertisements for Pumpkin Spice Lattes that gets me in the mood for pumpkin everything. 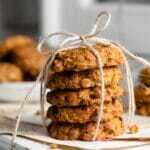 This recipe is a twist on the classic oatmeal raisin using pumpkin and butterscotch. I suggest you make a couple batches to have on hand. Eat them plain or ice them with Maple Vanilla Buttercream Frosting. 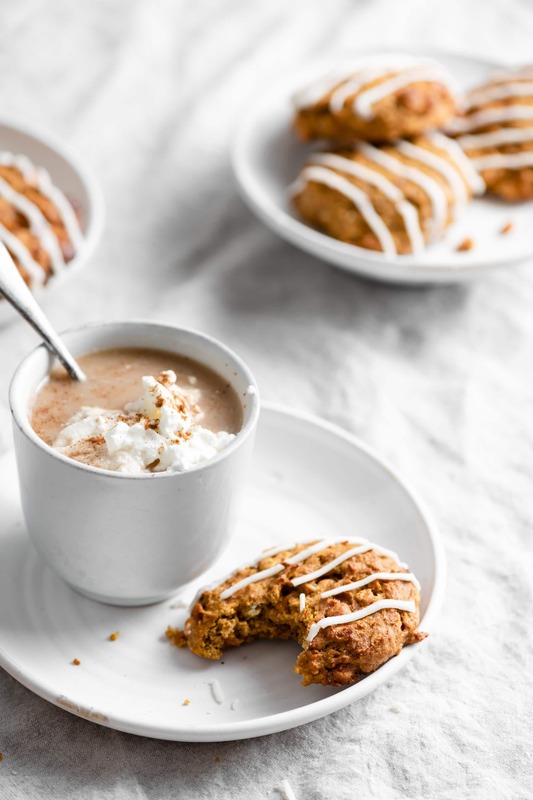 Pumpkin Cookies go with coffee, tea, afternoon snacks, and late night Netflix binging! I’m finding they’re perfect to eat just about anytime, therefore I’ve made a list for you. Passing out Halloween Candy to prevent yourself from eating all the Halloween Candy! Chill your cookie dough for an hour before baking. 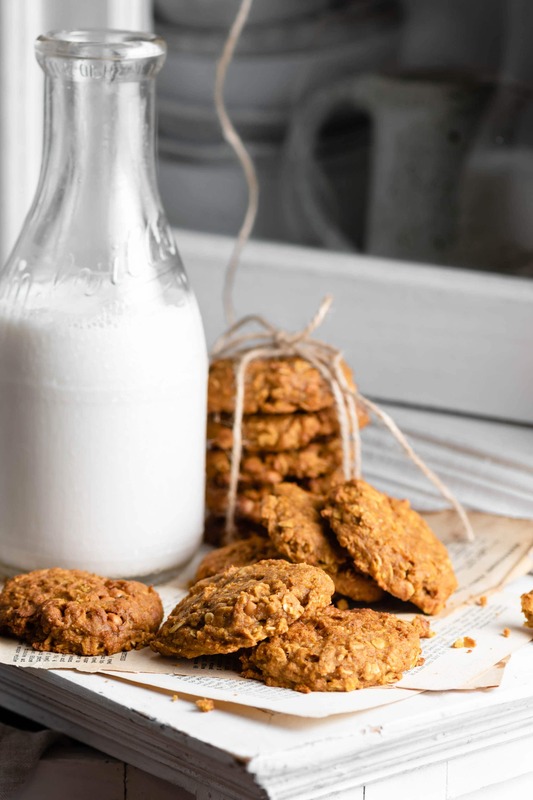 This allows the oats to absorb some moisture, making the cookies fluffier. Scoop your cookie dough with a 2 TBSP ice cream scoop. Flatten dough balls with fingertips into a cookie shape. Make your Maple Vanilla Buttercream while the cookies bake. Let cookies cool completely before icing. 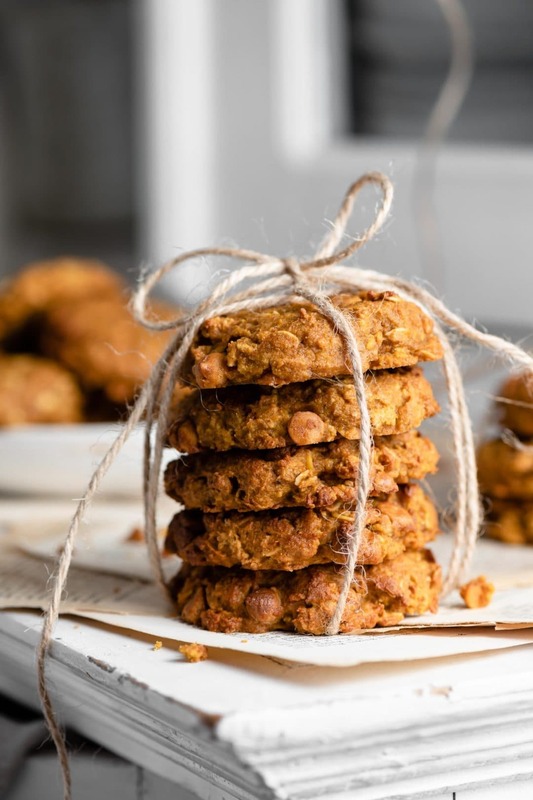 Oatmeal Butterscotch Pumpkin Cookies are a quick tasty recipe twist on the classic oatmeal cookies. Using pumpkin puree, pumpkin spice, and butterscotch chips. In a medium bowl, stir together flour, oats, pumpkin spice, baking powder, and salt. Using a separate bowl hand whisk pumpkin, oil, egg, vanilla, honey, and maple syrup until well combined. Pour the pumpkin mixture into the flour mixture and stir together with large spoon. Place cookie dough in the fridge to chill for one hour. Preheat oven to 350 F (190 C) and line two cookie sheets with parchment paper. Using a 2 Tbsp Ice Cream Scooper, measure and scoop dough onto cookie sheets. Place cookies two inches apart. Gently flatten dough balls into round cookie shape with finger tips. Bake for 18-20 minutes until crispy around the edges. See LINK above for Maple Vanilla Buttercream Frosting Recipe. Made these yesterday for my kids, so yummy. Reminds me of an oatmeal cookie but more cake like. Thanks for the recipe!